Thank you ! I'll give a look. Great job! What did you build it in? Thank you ! I've used lua and LÖVE/Love2d, it depends of how people name it. It feels like an old school game and i liked. The only thing i wasn't able to check is your "feature". Maybe i need to play more. 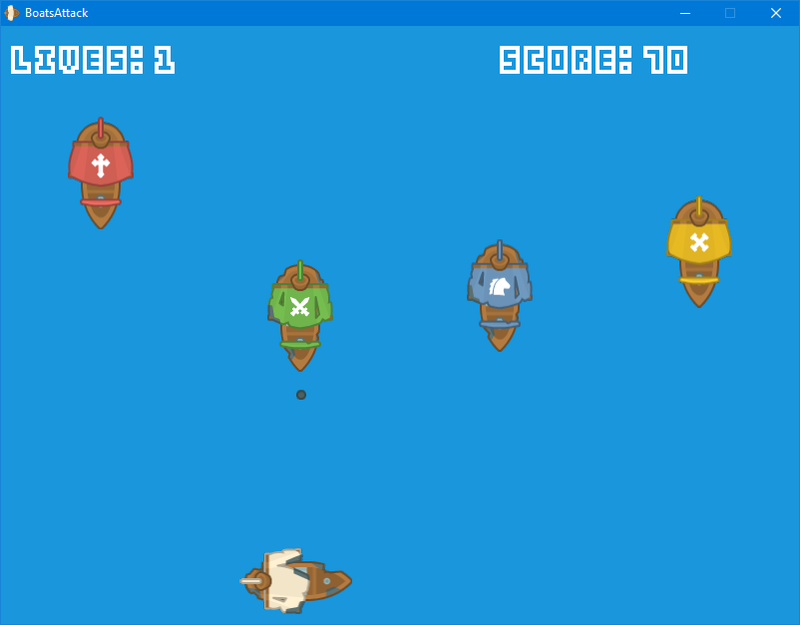 Also you should check the boats for collision. Thank you for playing my game ! 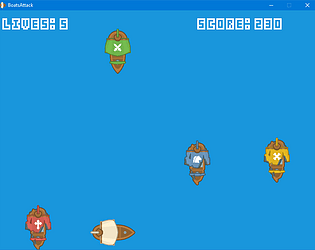 The feature was the fact that when you shoot a boat, the boat fix itself and go backward which can looks like a bug. Thanks for the suggestion ! Really fun game! Although I found a cheat (not the feature). You can just hold down space and shoot one boat, and you will constantly send it to the start, gaining more lives than you will loose from the other ships passing. Overall it was really great, and you made it so quickly! Thank your for playing my game ! Thanks for this information, i will give a look and see what i can do !